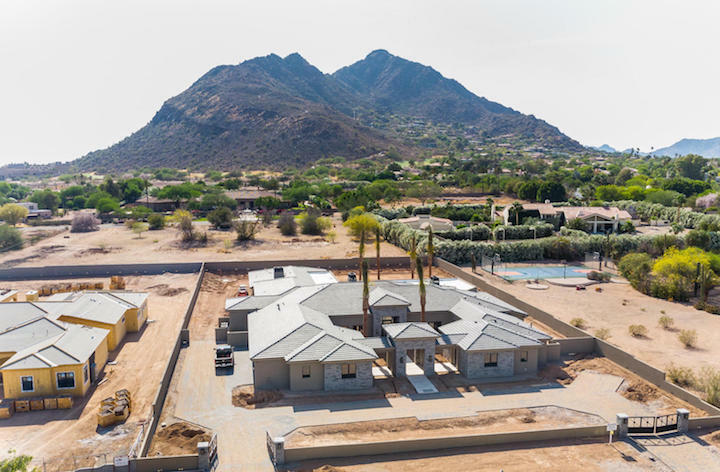 New Construction is back and once again building is happening all over Greater Phoenix, Arizona. Phoenix literally had a 5 year hiatus from building during the crash of the mid 2000's and now is experiencing a home shortage. New technology makes these new homes so much more energy efficient than resales of yesterday. New construction is being built in the latest styles with modern colors in stone, tile and flooring. In 2017 and 2018 there is a strong demand for homes and condos in sleek modern and contemporary style. Below are all the latest new construction listings. Our Russ Lyon Real Estate experts can guide you through the myriad of choices and help explain the value and choices the different Builders offer. For more information on any home or community you see here contact us at; 888-316-4622.